The Forerunner 645 Music is the latest Garmin watch to get some Spotify love, letting you load up playlists from the streaming music service and listen to them without your smartphone. After first rolling out the support to the Fenix 5 Plus, Garmin did tell us that more models would be supported soon. We were actually surprised that the Forerunner 645 Music wasn't first in line to get it, but we didn't have to wait long for it to turn up on what was the first Garmin device to introduce a built-in music player. If you have the 645 Music, you should now be able to head to the Connect IQ Store from the Garmin Connect app and download the dedicated Spotify app. Once that's done, you'll need to log into your Spotify account and connect the two services. You'll need to be a Spotify Premium user to be able to transfer playlists to the device for that all-important offline support. If you're a free Spotify member, you'll be restricted to only being able to browse your library on the watch. You will, of course, need a pair of Bluetooth headphones paired to the watch to listen to your music on the move, too. The addition of a dedicated Spotify app means the streaming service joins Deezer and iHeartRadio as music apps now supported on several of Garmin's running watches. For many, though, Spotify is the one Garmin owners have been waiting for. Previously, those offline support features were only available on Samsung's smartwatches and fitness trackers, including the new Samsung Galaxy Watch. 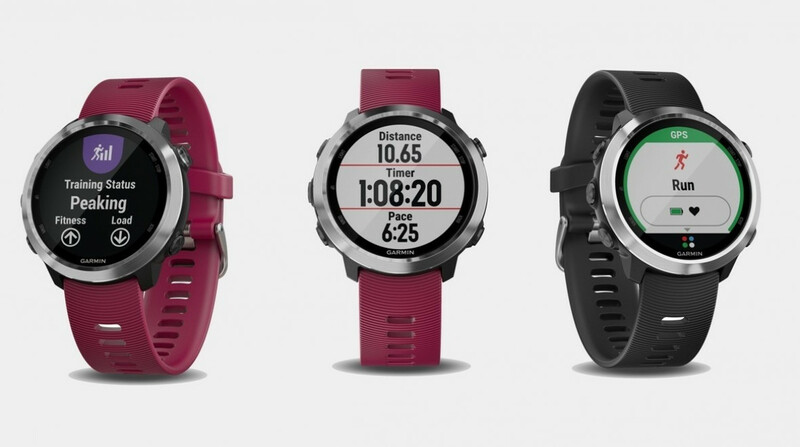 With the 645 Music and the Fenix 5 Plus series getting Spotify support, that leaves the Garmin Vivoactive 3 Music as the only other watch that's capable of supporting the feature. We wouldn't be surprised if a Spotify app that plays nice with the Vivoactive 3 Music is not too far off, though; fingers crossed it's before the end of the year.